As you do with the servers in a restaurant, tipping caterers is a way to show your appreciation for their service. The amount tipped to the caterer may vary based on the length of time spent at your event, but a proper tip may be a percentage of the bill, or offered as a per-server gratuity -- a set amount per server -- 15 to 20 percent of the total bill, or up to $50 per server. Read the catering contract, bill or agreement before determining a tip amount -- it may already be included in the bill, labeled as a service charge or gratuity. There's no need to tip if the bill includes this charge. For a flat-rate tip that doesn't involve figuring out the number of catering staff on hand, offer 15 to 20 percent of the total bill in small cash denominations, delivered to the catering manager before the event so she may distribute it evenly to her team. Otherwise, offer anywhere from $20 to $50 per server -- an event involving a good deal of their time involves a generous tip if the service meets or exceeds your expectations. The chef may be tipped $50 to $100. All Called Catering: Tipping Caterers: Why, When and How Much? 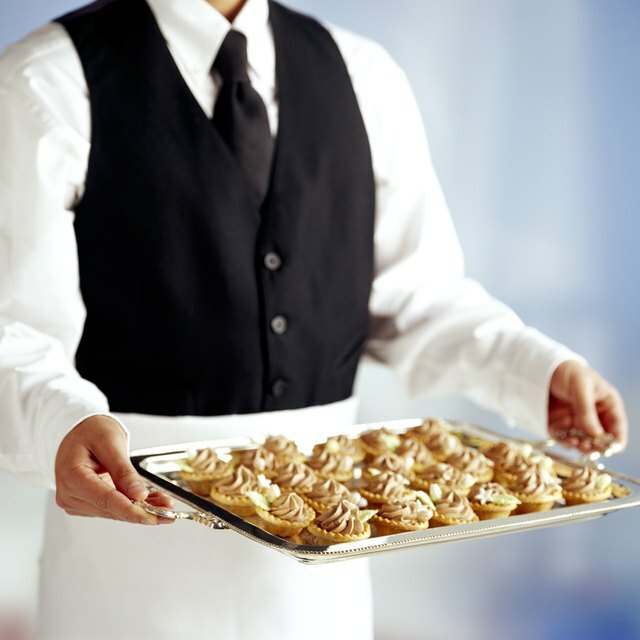 Draper's Catering: Should I Tip My Caterer?